Aquaculture is a thriving and profitable industry as there are currently high demands not only in the food fish requirements (fish served as foods such as tilapia), but also in the home aquarium ornamental fish market with the freshwater dominating and most recent marine aquarium also gaining popularity. These days there are endless list of aquaculture books that cover very well on this topic and it includes subject related to large-scale fish farming, management of disease, pond/tank setup and breeding methods. There are even universities and colleges offering degree courses in this field of study and checking on the subject listing shows that the course will cover practically everything on the subject of fish science, aquatic technology and it also involves training programs. 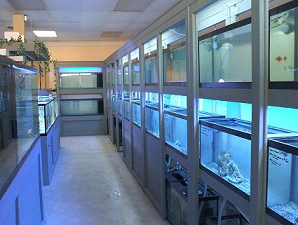 Keeping aquarium fish as pets does not confine to just being a hobby or childhood interest but also if properly well managed, it can turn into a profit-generating business. The koi community for example is always in the interest of actively participating and pursuing perfection in their koi rearing techniques. It is one of the largest fish communities in the world and it is also regarded as an ever popular circle of niche that garnered a lot of attention. Trust me, a koi enthusiast has no qualms or hesitation about paying few thousands dollars just for a well developed fine specimen which they think will add value to their collection. Thus, if you have interest to turn your hobby into something and taking it further beyond just a backyard venture, first you must learn all the management techniques such as fish disease control, best method on breeding and raising fish fry, water quality management and how to overall take care on the fish needs. There are many aspects related to aquaculture fish farming and it is not as simple as making sure that the fish survives. In fact, there are also other areas to look into and manage such as selection and setup of filter systems, ecological waste control coming from the fish rearing and also the management aspects on how to choose the locations and overall arrangements to make it the most cost-effective setup. Thus, this requires a lot of time, labor and expertise and to think that it is very much straightforward can be very misleading. In fact, those with a degree in the field will even find that there are a number of obstacles which can only be learned through experience and some of the knowledge by fish breeders is from years of learning and close observations. I have personally known a discus fish breeder who earns probably like ten over thousands a month and he even laments on how difficult it is to deal with problems and maintain his stock. Some related topics that you might want to read about: Challenges to successfully raise young goldfish fry. Applying the most recent aquatic technology is also equally important and this is where you can use advancement in technologies to your advantage. In recent years, development on new systems and techniques mean that there are far better ways or approaches to ensure that your fish thrive compared to those times, a decade ago when technology is not yet at its peak. One of the most exciting sections when it comes to aquatic technology is on the subject of genetic engineering whereby scientist and fish breeders are always working to produce the best strains of a fish not only aesthetically but also more tolerant to withstand disease and with the highest survival rate. Hence, with advancement in this area coupled with the right skills and experience learned in aquaculture, it could well be developed into an exciting livelong career.